In football a man was asked to do a difficult and brutal job, and he either did it or got out. I wanted to lie hour after hour on a couch, pouring out the dark, secret places of my heart—do this feeling that over my shoulder sat humanity and wisdom and generosity, a munificent heart—do this until that incredibly lovely day when the great man would say to me, his voice grave and dramatic with discovery: "This is you, Exley. Rise and go back into the world a whole man. Unlike some men, I had never drunk for boldness or charm or wit; I had used alcohol for precisely what it was, a depressant to check the mental exhilaration produced by extended sobriety. 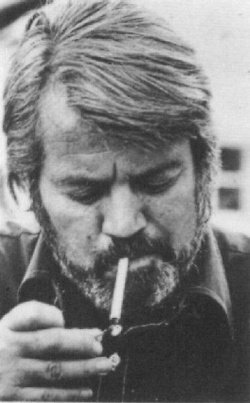 Bio: Frederick Earl "Fred" Exley was an American writer best known as the author of the fictional memoir A Fan's Notes.